And we're doubling back again. 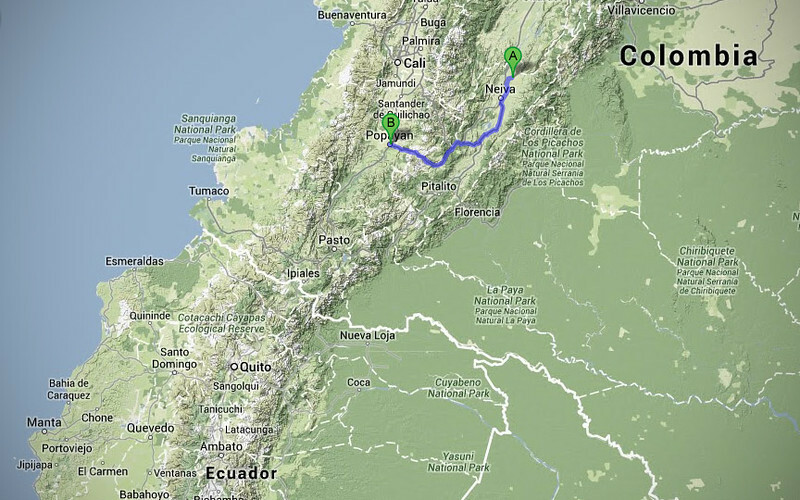 If we were to plot out our route in Colombia, it would probably look like a bunch of random squiggles scribbled on the map... We're going to be meeting up with the Pan American Highway at the town of Popayan, passing through La Plata. And this time, we're going to do extensive research to make sure we don't swim through mud again! So after all the research, we plotted a route through what looked to be a main road on Google Maps and on our GPSs. However, when we got there, we were faced with a gravel road. Memories of mud bogs filled our heads. 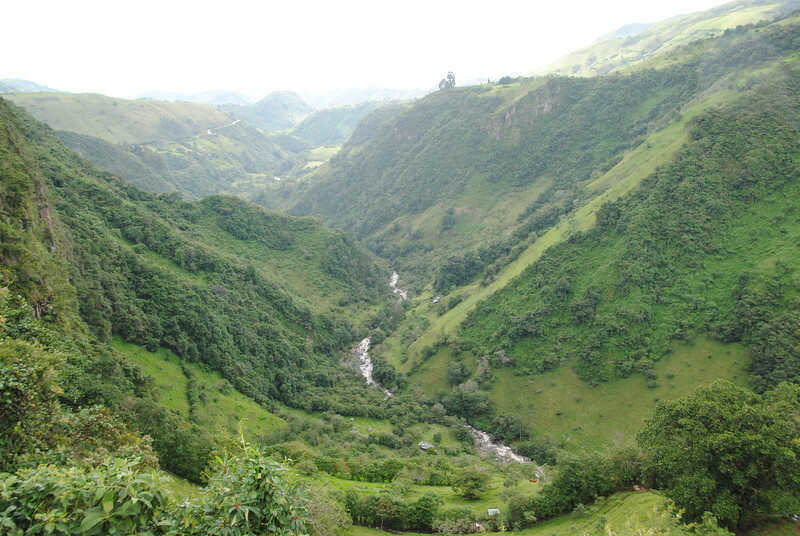 We asked someone if this was the way to Popayan. They said yes. 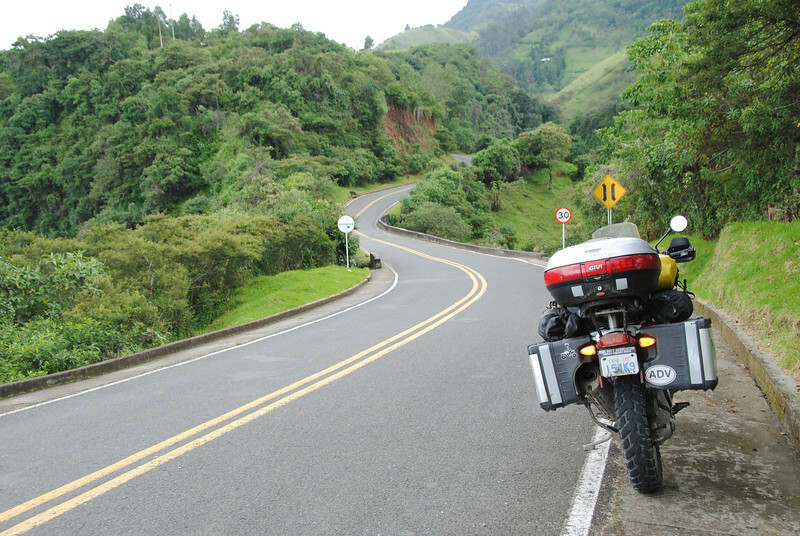 By now, we've learned our lesson about asking for directions in Latin America. If someone doesn't know the way, they'll usually make something up or give us a guess instead of saying, "I don't know". So we employ our "Best Of Three" methodology: ask three people and if two or more give you the same answer then that's *probably* the right way. Well, all three people we asked told us that this gravel road was the most direct way to get to where we wanted to go... and it was unpaved for pretty much all the way... Great. A few kms later, we pass a bus coming in the other direction. This made us feel a little better that we were on the right track. 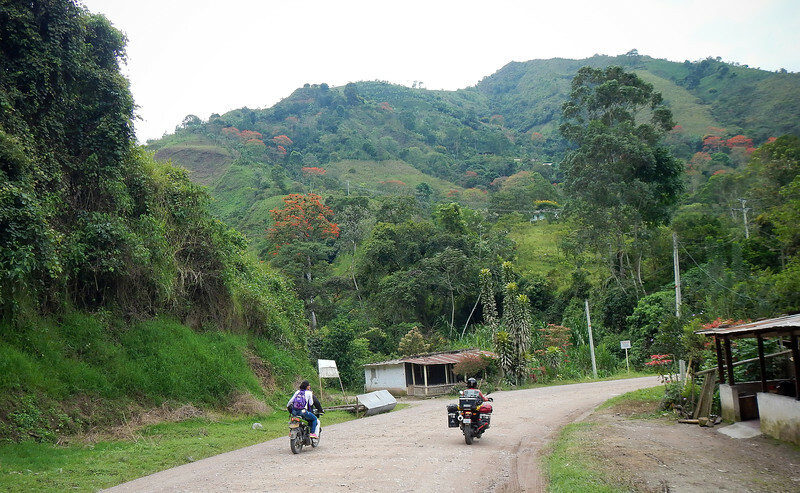 Later on we would find out that the major highway that runs between Neiva and Popayan does a huge detour south, bypassing the mountains. 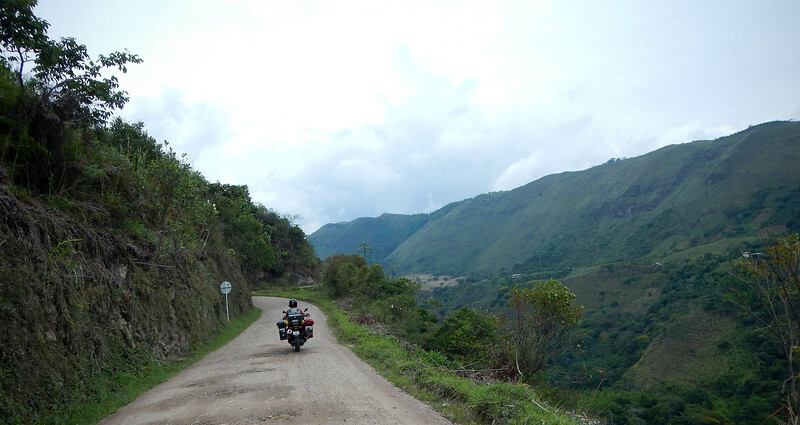 That's the route the truckers use, so while this road was a bit rough, at least it was less distance and no trucks! We'll take No Trucks over Crappy Roads any day of the week! We were passed by a lot of vehicles. This bike was the only one we managed to pass. Yay! Totally Winning! 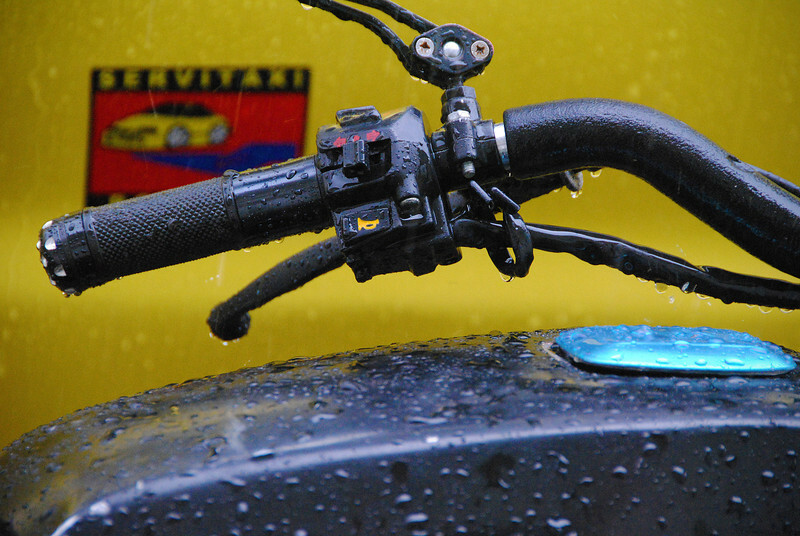 A lot of adventure riders like to stand up on their pegs anytime the asphalt disappears underneath them, fantasizing that they're Marc Coma riding the dunes in the Dakar Rally. We've certainly done some of that in the past. However, while we're pretending to be all Long Way Round, there'll always be a family of 3 or 4 crammed onto a 125cc motorcycle passing us like we're standing still. Then they'll look over at us while passing with a puzzled look on their faces wondering, "What the hell's wrong with their seats?" 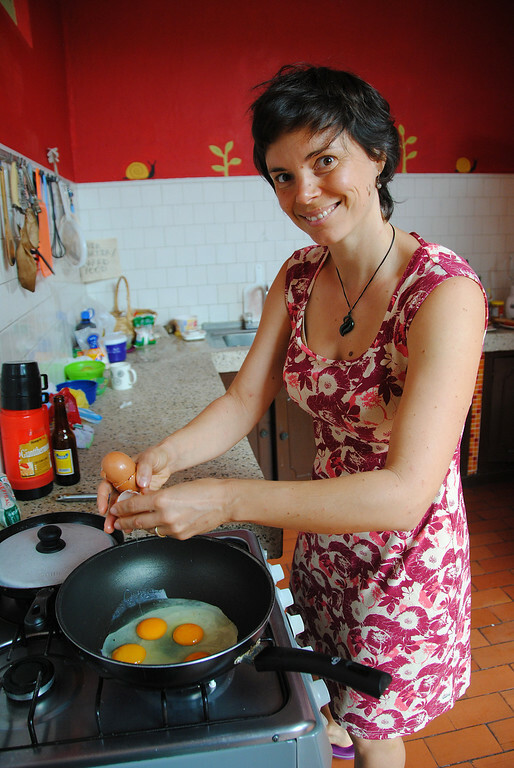 We rolled into Popayan in the late afternoon and after knocking on a few doors, found a cheap hostel. 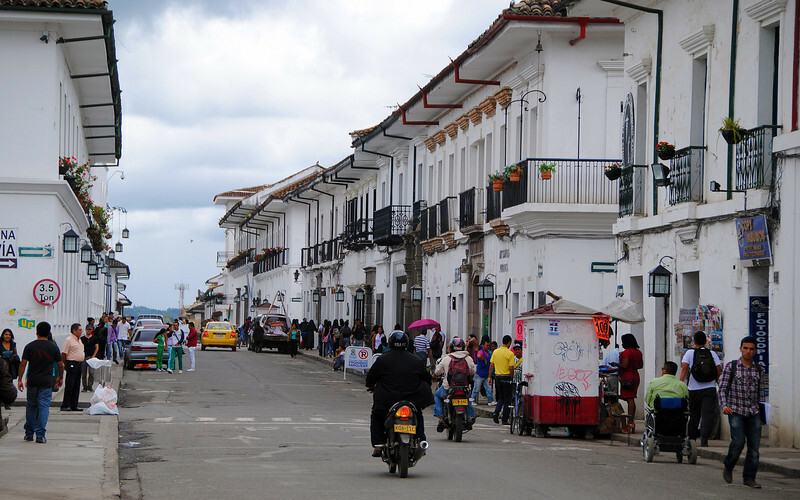 The town is quite pretty: cobblestone streets lined with colonial buildings all painted white. It kind of reminded us of the white towns in the south of Spain that we had ridden through a few years ago. 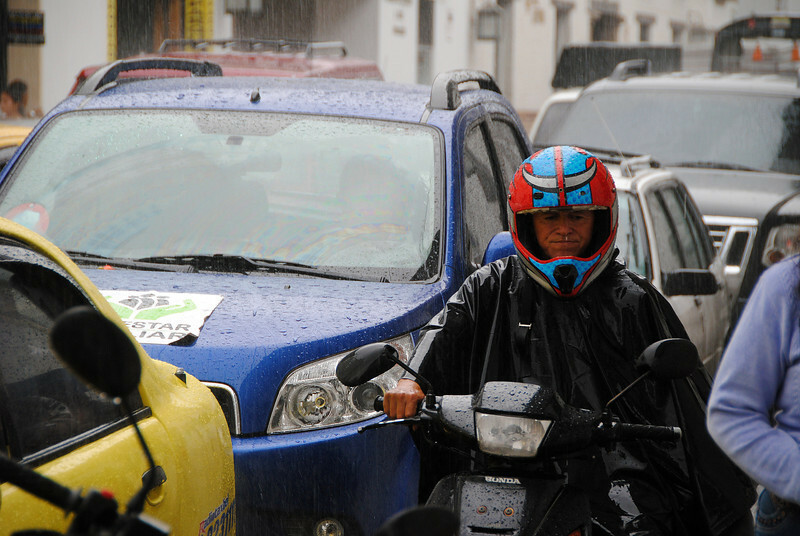 And, just as we predicted, rains in the afternoon. Things have come to a boil in Neda's mood. Once again, we were in a city wracked with congestion, the sounds of traffic and car alarms piercing the air. She's very sensitive to noise and every time a loud diesel truck passes by, I can see the vein in her temple throbbing like it's going to explode. Her annoyance is mixed with a bit of malaise, as the rains have dampened her spirits and she tells me that unlike me and the blog, she feels like she doesn't have a project to keep her occupied. I know how critical this is for someone like her who's very energetic and driven - quite the opposite of how lazy I am. This lackadaisical pace which suits me seems to be eating away at her. I think we're going to have to change up our schedule somehow. 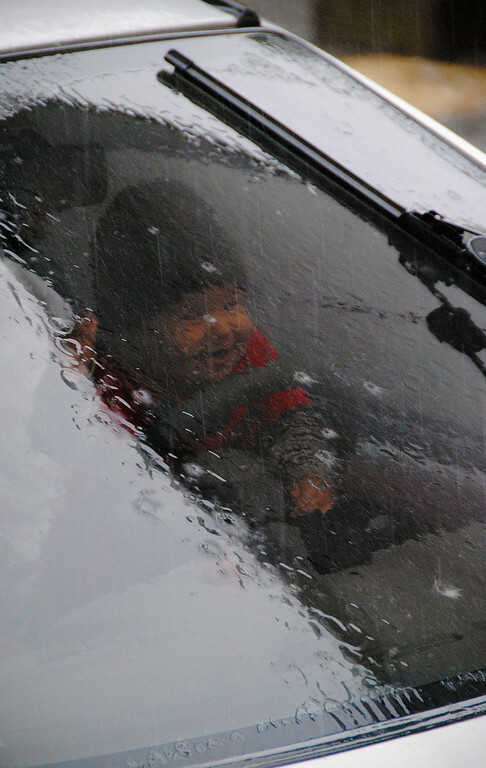 had a great time driving up and down the rainy streets! My own woes centered around the same bike issue that's been plaguing me for a couple of weeks now ever since leaving Cali. 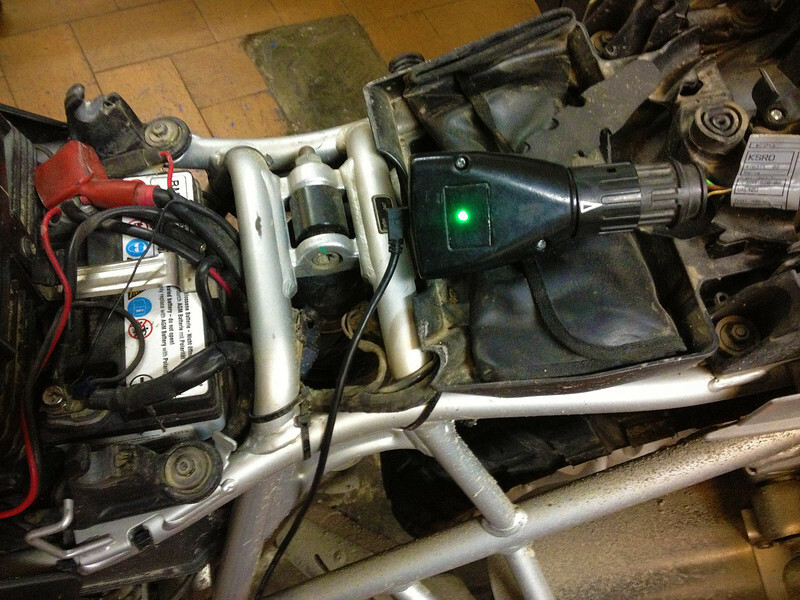 My ignition delay problem, although not worsening, was a constant worry to me. Every morning, I'd count the seconds between turning the key and the electrics coming on. 10 seconds one day. 30 seconds another. Would the bike refuse to turn on when I was in the middle of nowhere?!? Then one day, the delay was almost 60 seconds. That was the last straw, there was absolutely no way I could continue traveling this way, no matter what assurances the BMW Service Centre told me that there was no problem. I scoured the Internet message forums for other riders having the same symptoms. There were a couple of promising leads, pointing to replacing the ignition housing. I emailed a few places down the line. 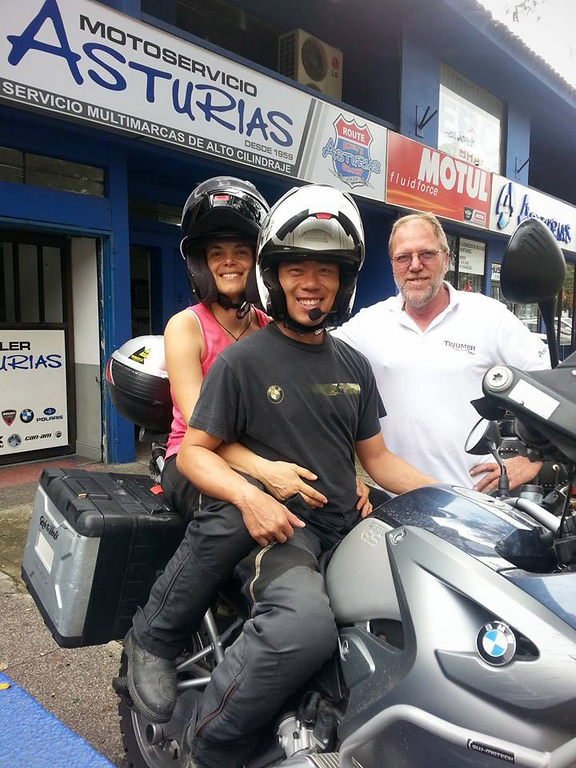 BMW Ecuador was unresponsive, BMW in Cali said the part was not in stock and would take a few weeks to ship. From many recommendations on ADV, I contacted an independent bike shop in Cali and was pleasantly surprised that they were very helpful and responsive. They too said the part was not in stock (since they got it from the same place as the dealer), but they told me to come in and they would take a look at it. 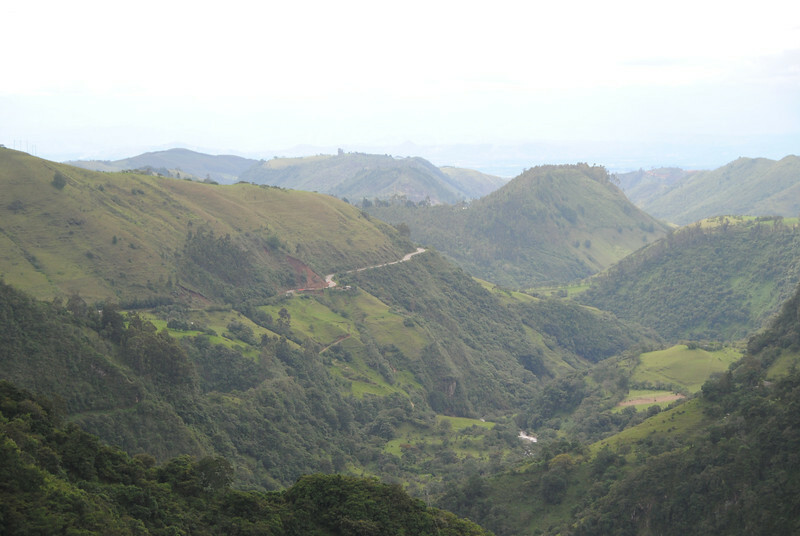 Cali was only two hours away from Popayan up the highway, so we made an overnight trip out of it. Overnight in Cali. We didn't have to travel to Morocco to stay in Casa Blanca! A lot of these hostels have the right idea. 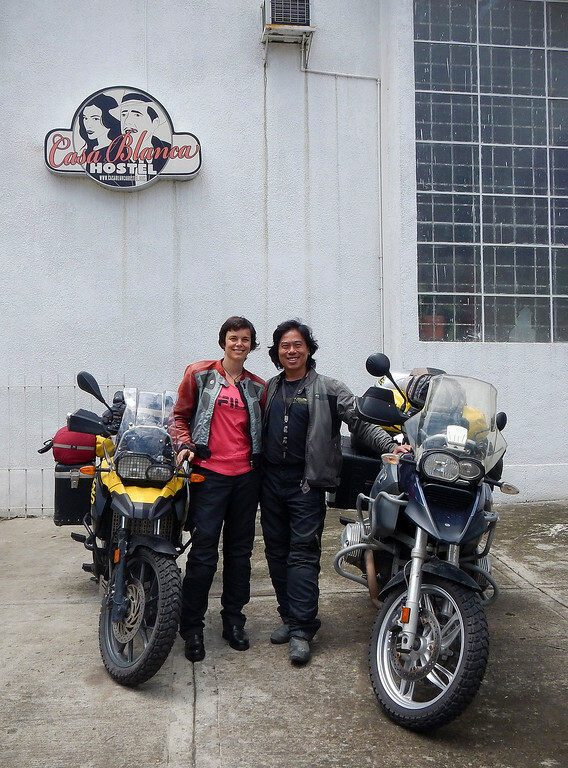 We don't have many pictures of the two of us, so the hostels make sure they always get a photo of their motorcycle guests with their sign in the background, and for sure, that photo will be plastered on blogs and forums all over the Internet. Free advertising! 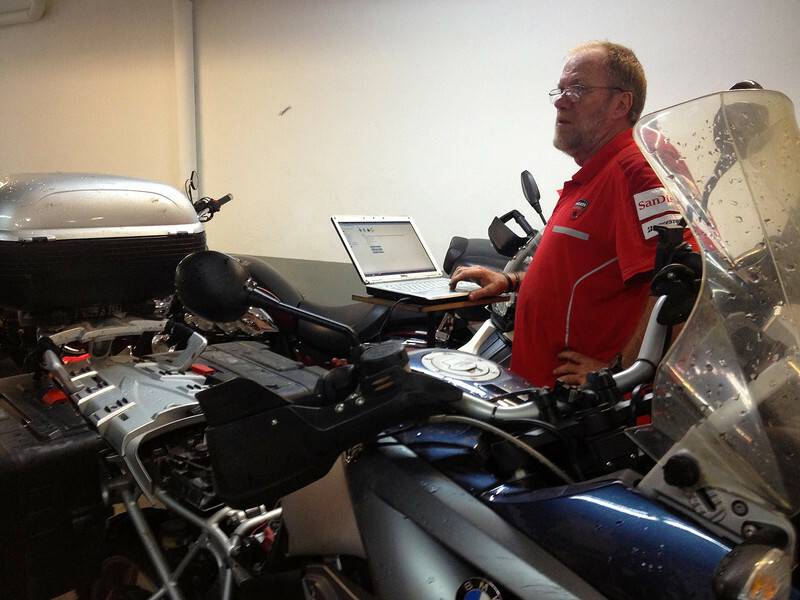 We dropped into Asturias Motors and were greeted by Jorge, the owner. He wheeled my bike into the service bay and immediately started diagnosing the problem. "I have the same bike, same model", he told me. 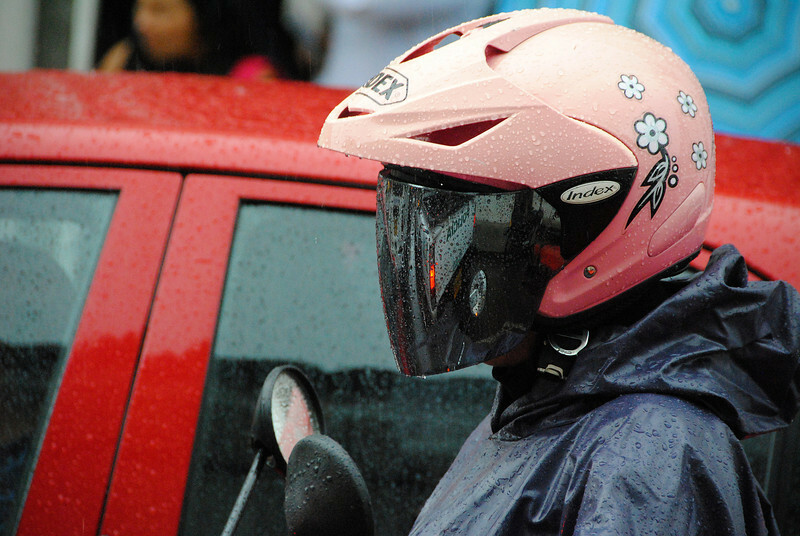 I looked over at Neda and I knew we were both thinking the same thing: this guy knows his motorcycles. We had a much better feeling now than when we were at the official BMW shop. Because the problem only manifested itself when the bike was cold, Jorge told us to leave it overnight and to come by in the morning. We totally don't mind advertising Asturias Motors! The next day we popped in. Jorge said he couldn't duplicate the problem that morning, so it seemed alright. That was good news, because it would have been the first time in over a month with no ignition delay. He told me all he did was clean the contacts on the ignition housing, which seemed to clear up the problem. This made some sense. While the folks on the Internet bought new parts, those new parts would have clean contacts, so Jorge saved me from buying a $130 part. When I asked him for the repair bill, he replied, "Nada". No charge, he said. That was super nice of him. We stayed awhile and talked to him and wife Sory. 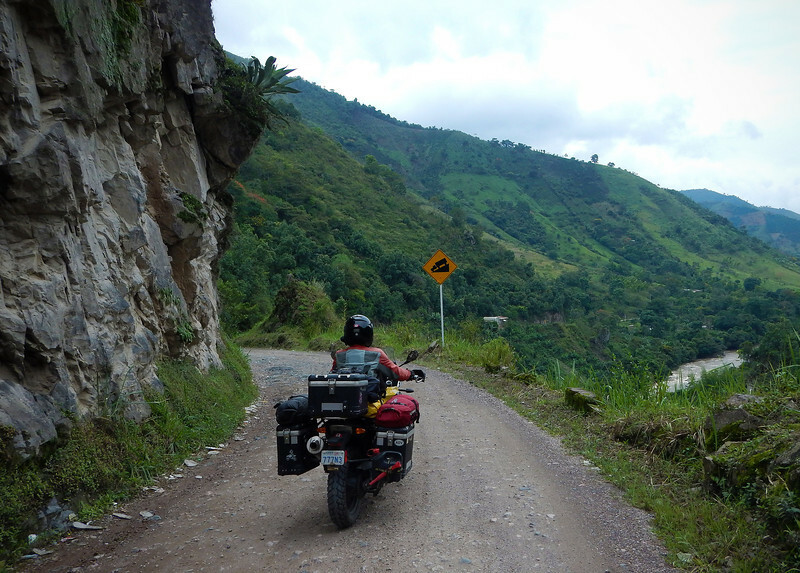 They both came from motorcycle families and you could tell that they were very passionate about bikes and travel, having done trips all over Colombia and South America. If you're in Cali and need anything done to your bike, definitely stop by Asturias and see Jorge. He really knows his stuff! on my tank bag at a stop light and walks away. What the..? 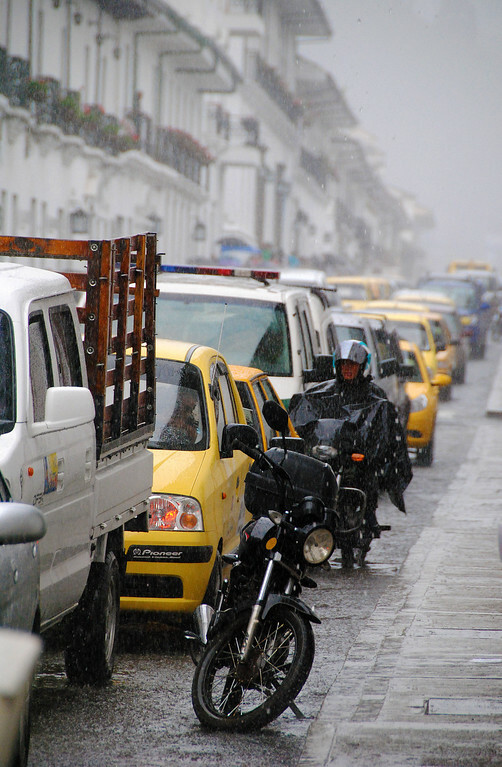 Traffic in Colombia is such a funny thing. 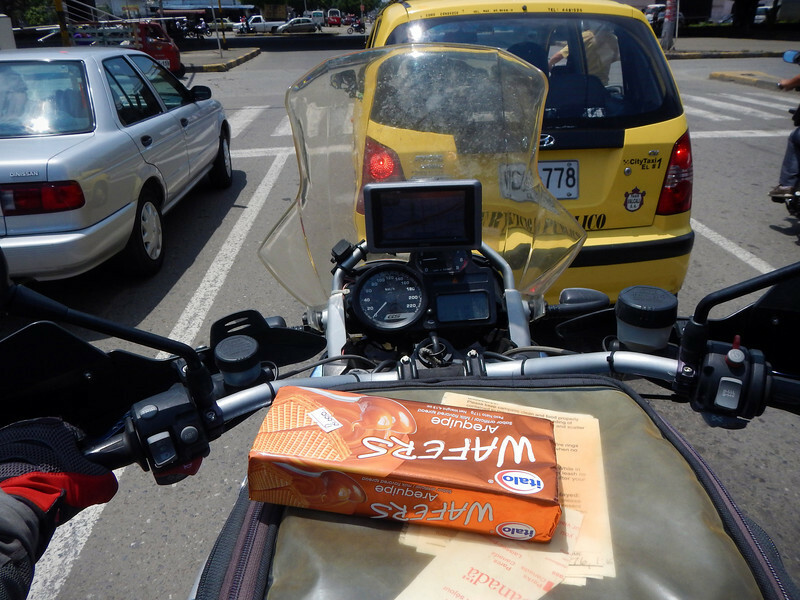 Vendors will place snacks on your windshield at a red light. Before the lights turn green, they'll pick them up again, unless you want to buy it because you've been staring at it for the entire duration of the red light! Also, the Colombian drivers play a fun game at traffic lights. It didn't take me very long to work out the rules of the game. It goes like this: When everyone is waiting at the red light, the millisecond the light turns green, then the first one to honk their horn wins. At every traffic light, this game is played - light turns green, someone honks, then they win. So I decided to join in on the fun! I sat at the next red light, with my thumb on the horn waiting for it to turn green. As soon as it did, I mashed the button with competitive fervour, and to my delight I was the first one to let out a loud BEEP! I looked around at my fellow motorists expecting them to congratulate me on my triumph, but they just stared at me with quizzical looks.